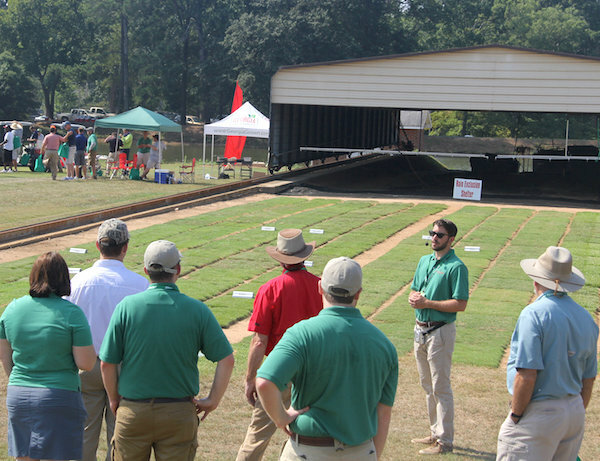 The University of Georgia Turfgrass Research Field Day is set for Thursday, Aug. 9, on the UGA Griffin campus. UGA Cooperative Extension specialists and UGA College of Agricultural and Environmental Sciences scientists will provide updates on their latest research about the diseases, insects and weeds that affect Georgia turfgrasses. Most presentations will take place on the plots where the research is being conducted. Registration will start at 8 a.m. The program will begin at 8:50 a.m. and end at 2:30 p.m. The morning session, from 9:15-11:30 a.m., will also be offered in Spanish. Displays and demonstrations of the latest turfgrass industry equipment will also be on site from 11:30 a.m.-1 p.m. Afternoon self-guided tours will begin at 1:15 p.m. and conclude at 2:30 p.m., after a catered barbecue lunch. Georgia Pesticide License Credit hours will be available for categories 10, 21, 24, 27 and 32. Pesticide recertification credits will also be available for Alabama, Florida, South Carolina, North Carolina and Tennessee. The registration fee — $65 before July 17 and $80 after — covers the day’s presentations, a detailed program booklet and a barbecue lunch. Four or more people who register as a group qualify for a 10-percent discount, and students can attend for $25 ($30 after July 17). - Calling the UGA-Griffin Office of Continuing Education at 770-229-3477. - Mailing the fee to the Office of Continuing Education, University of Georgia Griffin Campus, 1109 Experiment Street, Griffin, Georgia 30223. - Going online to www.GeorgiaTurf.com. - Faxing the form to 770-233-6180. - Visiting the UGA-Griffin continuing education campus.